For a limited time, get free shipping* on genuine Toro line items. Don't miss this offer, save big on your parts purchases today! Welcome to RCPW, your #1 source for high-quality OEM replacement parts at discount prices. First and foremost, at RCPW, we know parts and we provide support for every brand we sell. That means from the smallest bolt to the largest deck or frame, you can trust RCPW to get you the right repair components for Toro mowers, snowblowers, and other equipment. If you need it, we can help you find it quickly! We have been an authorized dealer for over 35 years and have the expertise that comes with years of familiarity with Toro products. We carry a large selection of Toro lawn mower parts, Toro snow blower parts, Toro zero-turn parts and more. Are you a landscape professional looking for replacement parts at discount prices delivered to your doorstep? We are an authorized dealer for all LCE landscape and commercial models such as GrandStand, Z-Master, aerators and other mowers. *Some exclusions may apply to oversized or overweight items. Not sure what you're looking for? 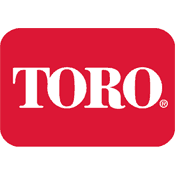 Browse all genuine Toro parts here. When the time comes to service your machine, RCPW has you covered. Our extensive inventory allows us to quickly process and ship your order. Plus, we are just two transit days away from items that must be special ordered from the factory, so if there's something we don't have, we can still get your order to you quickly. Call 800.937.7279 today to place your order and we'll help you find the right item at the right price. We have been a trusted dealer of products and accessories manufactured by The Toro Company since 1980. Our humble beginnings started with repairing lawn equipment out of a garage and now we operate a large equipment service center in northeast Ohio. We're still family-owned and operated and ready to help you tackle that repair. Everyone wants to save money by making a fix themselves, and we make it easy with phone and email support as well as support documents like service and owner's manuals provided over email. Our trained technicians know everything about Toro mowers because we work with them every day.